The very basic idea of a united Europe was to establish peace on the continent – where there is Europe, there is peace. This task remains urgent on the political agenda. Yet the EU finds itself surrounded by a belt of wars at its south and east: in the face of technological developments and shifts in the geopolitical landscape, an ongoing hybrid war is establishing itself. Unlike ‘conventional’ warfare, hybrid warfare operates through image production, private armies, cyber warfare and political prisoners. In today’s international status quo, a regime of hybrid peace prevails, where the hybrid nature of war affects political and social conditions far beyond the agents involved in the war alone. Vasyl Cheperanyn from Visual Culture Research Center (VCRC) presents the project Hybrid Peace from 25 March – 12 May 2019, staging installations, screenings, and discussions. Hybrid Peace explores the politicality of truth through visual art and forensic knowledge. Over the course of a 7-week period, the project will develop in multiple thematic directions around the concept of hybrid peace. A work-in-progress exhibition will be constructed, unfolding the concept of hybridity and its entanglements in Stroom’s exhibition space. Although far removed from war zones, the Netherlands can now claim victims in the Russian – Ukrainian war through the MH17 tragedy. Cyber warfare means military ends are now met through the social means of image production and circulation. A surge of far-right populism has led to a perpetual state of exception for the migrants making their way to Europe through its borderlands. The Hague, City of Peace and Justice, should be at the forefront of recognizing the conditions of hybrid warfare, to imagine its alternative in the field of law, cultural production, and international relations. With the participation of: Yuriy Hrytsyna (Ukraine), Angelina Kariakina (Ukraine), Oleksiy Radynski (Ukraine), Hito Steyerl (Germany), and Artur Żmijewski (Poland). Emblem by Uliana Bychenkova, animation by Oleksiy Romanenko (Ukraine). Hybrid Peace is initiated and realized by Vasyl Cherepanyn, VCRC. In Warsaw, as in many other Polish cities, it is becoming more and more likely that your neighbor next door is Ukrainian. Or, for that matter, Belorussian, Moldovan, Russian, Georgian, Uzbek etc. The growing influx of migrants from beyond the Eastern border means that Poland, for the first time since the end of WWII, ceases to be a mono-ethnic state. 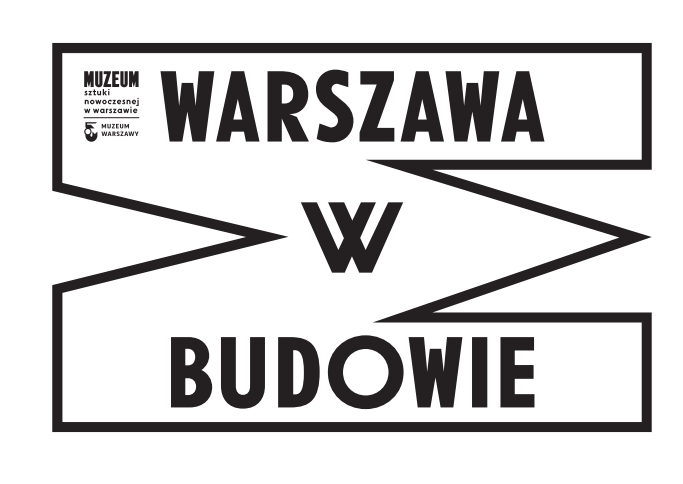 The 10th edition of Warsaw Under Construction reacts to this situation by decentralizing the festival, introducing a rupture within the exhibition’s logic that would reflect the changes taking place in Polish society on the level of the structure of the project itself. The Kyiv part of the festival focused on urbanistic research and intervention into marginalized and forgotten routes of collective cohabitation in the city. It was located at the abandoned street that once connected the historical part of uphill city – Lvivska square with manufactory and workmen housing district of Hlybochytsa river valley. This route has fallen into oblivion with the collapse of the Soviet Union and became a spot of unrealized developing dreams, city fauna and a garage cooperative hosting a small creative community of graffiti writers, musicians and artists. The festival’s program reclaimed the place for public use providing a discursive space for collaboration between artists, scholars, urban activists and involving site-specific work, film screenings and series of workshops. The film is about an attempt to build “a society, which will be radically different from everything else that surrounds us” (to quote the film’s protagonists). 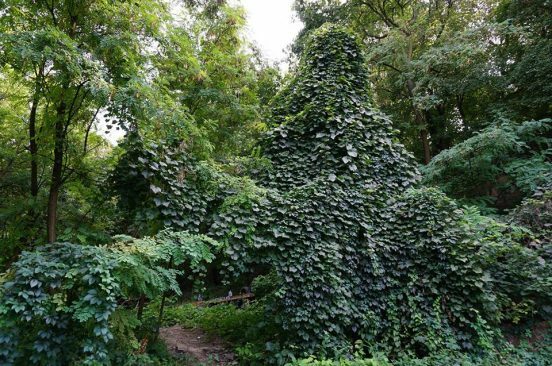 This attempt is taking place in the very center of Kyiv, in the area reclaimed by the forces of nature. Landslide, degradation of urban politics and disintegration of social ties led to the emergence of anarchic, uncontrolled enclave in the city center. That is how the idea of “utopia, here and now” was born. Representatives of street art, music scene and theater avant-garde take part in the making of this utopia. The idea of ‘neighbors’ in the exhibition is imagined in a state of constant flux, precarity and transformation, rather than permanent, stabilized co-existence. Curators of the project together with artists from Ukraine and Poland discuss the multiple perspectives explored in the show – ongoing flows of migration in the European cities, the ideological battle that evolves in the public space and the new rise of ethnic hostility, underrepresented participation of women in the processes of forming the city space – and how they are reflected in the Radio International sonic project. An artistic protest against humiliating treatment of workers will take the form of washing the pavement with rags together with a Ukrainian who has higher education and is socially stigmatized for this type of work. The manifesto printed on the rags claims the unity and strengthening of the weak against depreciation of labor, mobbing, violence, exploitation and unequal distribution of goods through voicing the injustices that affect us. The documentation of the performance together with the used rags will be shown at the festival’s exhibition. An ironic documentary film about the farewell to the phantoms of the USSR in Ukraine. The spiritual session with the ghost of Lenin guides us through our past, present and future. The film presents the dawn and the twilight of idols, and the curious afterlife of history’s ghosts. An attempt to reconstruct the atmosphere and the reactions at the end of the Euromaidan, when activists in Lviv (Ukraine) started to perform law enforcement functions. The film uses the activist patrols’ walkie-talkie communications to ask questions about the nature of the revolution, law and self-organization. The film tries to look at the mundane spaces of the city, and to understand whether the historical and revolutionary uncertainty is still there. 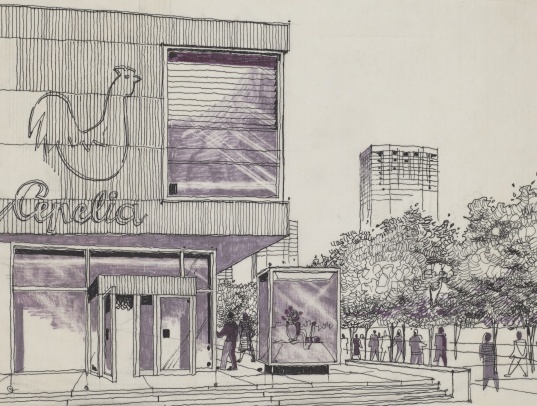 One of the focal points of the festival is the ways the notion of architecture, and the position of its creators, is currently transformed by local or transnational market mechanisms, or by past and present political ideologies. In Ukraine, anti-Soviet sentiment has risen since the government launched in 2015 a ‘decommunization’ campaign to get rid of the symbols of communist rule, which, apart from toppling Lenin statues and renaming cities and streets, also put country’s modernist heritage of the Soviet period under threat. A number of presentations and talks dealing with the urgency to preserve and protect Soviet modernist architecture will be accompanied with a series of film screenings on the topic of uprising and displacement in the city space. The discussants will also analyze the conditions of the Polish architectural heritage after 1989 and the changes of the urban landscape made for economic reasons or political purposes of ‘decommunization’. An independent social and artistic space “New Neighborhood / Moabit” was founded by a Berlin-based artist, activist and author of a Belarussian origin Marina Naprushkina in 2013, at the time of the need to support refugees in the Moabit area. “New Neighborhood / Moabit” has developed into one of Berlin’s largest self-organized civil initiatives that creates a situation of “meeting” for old and new neighbors, people from different countries, with different social backgrounds, regardless of age, sexual orientation, and religion. It operates as an educational project in which the participants share their experiences and work on the creation of new forms of collective. The exponentially growing wave of migration from Ukraine to Poland is not a one-way street. It profoundly changes the economic, political and social functioning of both countries. Still, the significance of a swiftly enlarging Ukrainian community in Poland goes beyond mere numbers. The Polish government is bragging about its ‘acceptance of one million Ukrainian refugees’, although the real number of accepted refugees from Ukraine is in single digits. The rest should be qualified as labor migrants, but they are used as a convenient shield to evade the EU migrant quotas. ‘The Ukrainians’ are becoming a metaphorical, mythic community – even though the Polish economy relies to a great extent on their underpaid labor. The participants will discuss the contradictions of the Polish migration policy revealing the discontents of the EU Southern and Eastern neighborhood Ersatzpolitik. A spectre is haunting Europe – the spectre of communism. All the powers of old Europe have entered into a holy alliance to exorcise this spectre: Merkel and Putin, Orbán and Macron, right-wing radicals and Brexiteers. From ‘decommunization’ in Ukraine and Poland to Germany’s “GDR has never existed”, from counter-revolutionary authoritarian regimes in Russia and Turkey to ruling populists in Austria and Italy communism seems to be treated and fought against as if it was not a symbolic remnant from the half-forgotten period before the proclaimed ‘end of history’ but a living ideological enemy still present on the political agenda. Perhaps, it is this anti-communism without communists that serves as a common negative signifier of all the political trends usually gathered today under the term ‘illiberalism’. What are the social drives and class background of such a widespread ressentiment? How is declared anti-communism paving the path to neo-fascism normalizing newly emerged avatars of the old ideologies of hatred? Why is it needed in today’s discriminatory practices in the entourage of anti-migrant consensus and anti-Semitic backlash? By clashing with the political forces that define the current status quo on a global scale, the discussants will scrutinize the European unconscious in its present mode. A documentary film following the journey of a 1970 statue of Friedrich Engels from a village in Ukraine – removed from public view as part of the process of ‘decommunization’ – to Manchester, where it has been installed in the city center as a permanent monument. Engels lived in Manchester for over twenty years, and the experiences from his first stay in the city (between 1842 and 1844) informed his renowned 1845 treatise The Condition of the Working Class in England. The travelogue is combined with the footage from the day of the statue’s inauguration in July 2017 at a large scale live event and stories of today’s workers whom Phil Collins met over the course of a year. Artist’s relocation gesture has launched a series of debates on the legacy of Engels and relevance of communist thought in post-Brexit Europe and beyond. Neighbours is the theme of the 10th Festival of Architecture and Urbanism Warsaw Under Construction held since 2009 by the Warsaw Museum of Modern Art and the Museum of Warsaw. This year, Visual Culture Research Centre has been invited to curate the festival. The festival program has been divided between Warsaw and Kyiv. Kyiv’s Petrivska Street, 34 (‘Thicket’) is going to be a venue for the Neighbours urban project during September 19-28, 2018. Until the 1990’s, Kyiv’s Petrivska Street connected Podil with the Upper City. The political, social and geological cataclysms led to the abandonment of this route. The local buildings were gradually destroyed and turned into an impassable thicket: forces of nature crowded people out of this area. After several decades of abandonment, the area was occupied by artistic communities. The adjacent garages have become a place for the development of music counter-culture, graffiti, performance art, and so on. Oleksandr Burlaka’s specially designed architectural project has to revive the abandoned area for the benefit of the city dwellers. As part of the Neighbours project, there will be held an educational program dedicated to the issues of emergency architecture. This is an international movement that aims to provide architectural solutions for the areas affected by rapid urbanization, poverty, conflict, and natural disasters. A series of debates, visual presentations, workshops, and musical events will be held by architects, art historians, and urban philosophers and practitioners. They will address the negative effects of the chaotic urban development resulting from illegal space appropriations, visual warfare, and military intervention. The festival will include the events dedicated to architecture, landscape design, graffiti culture, alternative music, and cinematography. The festival program offers workshops, lectures by Ukrainian and European architects, music and graffiti jams, and film screenings. As part of the festival, the adjacent area will be arranged by Formografia design studio (the founders of the Ostriv Science and Art Platform). The educational program includes the lecture The Figures of Negativity: Elements of Architecture of Contradiction by Mattia Pretolani, an architect, the lead manager of EASA 2019; the lecture Architectural Agency. Small Projects by Tomasz Świetlik, the chief architect of Stsena in Dnipro City; and the lecture Architecture of Commune by the Ukrainian architect Dana Kosmina. The musical part includes Zakip vol.7, and the first Kyiv’s graffiti shop GARAGE CANSHOP will hold a graffiti battle. The festival will host the partner events of the DIY STVO Urban Culture Festival and be completed with the screening of Oleksiy Radynsky’s film Landslide XL. The Kyiv International – ’68 NOW explores the political and cultural heritage of the revolt and struggle of 1968, considering the antinomies of this moment for the West and East of Europe fifty years onward. The event will take place through May 25 in Kyiv’s House of Cinema in the format of an international forum for art and knowledge. Wednesday, May 23 at 19:00 the lecture “1968 in Germany – a Generation with Two Phases and Faces” by Aleida Assmann will take place in the Blue Hall at Kyiv’s House of Cinema. Born between 1940 and 1950, Generation ‘68 is marked in Germany by the Second World War and its aftermath in a country in dissolution, as well as a strong desire for renewal, return to normalcy, and a settled life in the society into which they were born. This generation grew up at a time of bold technical innovation, economic prosperity, and modernization. The movement toward self-liberation was a distinctly European and Western phenomenon, propelled on by American pop culture, visions of flower power, and the dreams of Hippies. In the German context, these ideals passed through different stages: from its origins grounded in shifts of culture and lifestyle the movement turned political, and arguably even turned terroristic. The historical contribution of the 68ers, however, is not limited to what happened in the 1960s and 70s. A second revolt in the 1980s has been as equally formative in the emergence of a new Europe. Aleida Assmann will focus on both revolutionary moments and how they have changed Europe. Aleida Assmann is a German historian and cultural anthropologist. From 1993 – 2014 she held the Chair of English Literature and Literary Theory at the University of Konstanz, Germany. She taught as a guest professor at various universities (Princeton, Yale, Chicago and Vienna). In 2017 she received the Balzan Price, together with her husband Jan Assmann. Her recent publications in English include Cultural Memory and Western Civilization: Functions, Media, Archives (2012); and Shadows of Trauma: Memory and the Politics of Postwar Identity (2016). 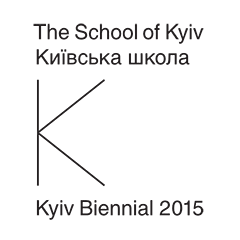 The Kyiv International – ’68 NOW will close with the lecture “Laboratory of the Future: Lenin’s Body between Biochemistry and Art” by Alexei Yurchak. The event will take place on Friday, May 25 at 19:00 in the Blue Hall at Kyiv’s House of Cinema. The Soviet communist project was organized around the figure of “Leninism” – the discursive and material construct that consisted of Lenin’s texts and quotes, images and sculptures, and Lenin’s physical body in the Mausoleum. As the power center of sovereignty, “Leninism” was constant and eternal; it was the only physical body and body of knowledge that could not be questioned or transcended within Soviet political discourse. In fact, to remain “the same,” Leninism was continuously changed and reinvented throughout Soviet history: Leninist texts were misquoted and censored, Leninist images were invented and retouched, and Lenin’s physical body was re-sculpted and re-embalmed. Meanwhile, the biochemical science that maintained and transformed Lenin’s body remained at the center of this ongoing political reconstruction. What does “Leninism” look like from the perspective of science with its biological labs, chemical tests, and anatomical procedures? How do the political, the artistic, and the biological intersect in this unique project? What does this perspective tell us about the iconoclastic movements directed at Lenin’s images today? Alexei Yurchak is Professor in the Department of Anthropology at the University of California, Berkeley. He received PhD in Cultural Anthropology from Duke University in 1997. He is the author of Everything Was Forever, Until It Was No More: The Last Soviet Generation (Princeton University Press), which won the 2007 Vucinich Book Prize. In 2014, the Russian edition of the book that was rewritten and expanded by the author himself won the “Enlightener Prize” for the best non-fiction book of the year. He is currently working on a book that explores the unique bio-chemical science that has maintained Lenin’s body in the Mausoleum in Moscow. Friday, May 18 at 19:00, the lecture “The Affects of Democracy” by political thinker Chantal Mouffe will take place in the Blue Hall at Kyiv’s House of Cinema. In this lecture, Chantal Mouffe will examine the crucial role played by what she calls ‘passions’ in politics to refer to the common affects at stake in the construction of collective identities. Taking her bearings from Spinoza, Freud, Wittgenstein, and also from the agonistic model of democracy that she has elaborated in her writings, Chantal Mouffe will scrutinize the role of artistic practices in creating the affects that can be mobilized in order to create a collective will able to give a new vigor to the democratic ideal. Chantal Mouffe (Belgium, 1943) is a political philosopher and Professor of Political Theory at the Centre for the Study of Democracy at the University of Westminster in London. She is also a corresponding member of the Collège International de Philosophie in Paris and author of The Return of the Political (1993), The Democratic Paradox (2000), On the Political (2005), Agonistics: Thinking the World Politically (2013) and with Inigo Errejon, Podemos: In the Name of the People (2016). Saturday, May 19 at 16:00, “Living Newspaper: The Legacy of the Prague Spring Today,” a symposium curated by Vít Havránek and Tereza Stejskalová (transit.cz, Czech Republic), will take place in the Blue Hall. Participants will discuss the most immediate question of the era – could the socialist model be reformed or not? Tomáš Hučko: translator, publicist, writer and editor-in-chief of the critical monthly journal Kapitál. He lives and works in Bratislava. Zbyněk Baladrán: author, artist, curator and exhibition architect. In 2001 he co-founded Display, a space for contemporary art, transformed into Tranzitdisplay in 2007. He was also a member of the curatorial team Manifesta 8. Alexey Klyuykov: artist, illustrator and founding member of the artistic group of Radical Realists. He lives and works in Prague. Pavel Barša: Professor of Philosophy at Charles University and researcher of memory policy, orientalism, and emancipation movements. Viola Ježková: documentary filmmaker and dramaturgist of radio broadcasts for Czech Radio Vltava. Sunday, May 20 at 19:00, “Filmmakers of the World, Unite!” a screening and presentation by Tereza Stejskalová will take place in the Blue Hall at Kyiv’s House of Cinema. This screening of Black and White (1968) by Krishna Vishwanath and Fugue on the Black Keys (1965) by Drahomíra Vihanová will be followed by a presentation by Tereza Stejskalová on the amnesia of the cultural exchange related to the temporary stay of students from non-aligned countries in Czechoslovakia. She will focus on the encounter between Asian and African students of film and the Czechoslovak New Wave in the 1960s and 1970s, as well as the paradox of racism under socialism. Tereza Stejskalová: curator, writer and researcher working for tranzit.cz. Together with Zbyněk Baladrán, she has recently curated the project Biafra of Spirit: Third World Students in Czechoslovakia at the National Gallery in Prague. She has also co-authored the books Who Is an Artist? (2015) and Filmmakers of the World, Unite! (2018). 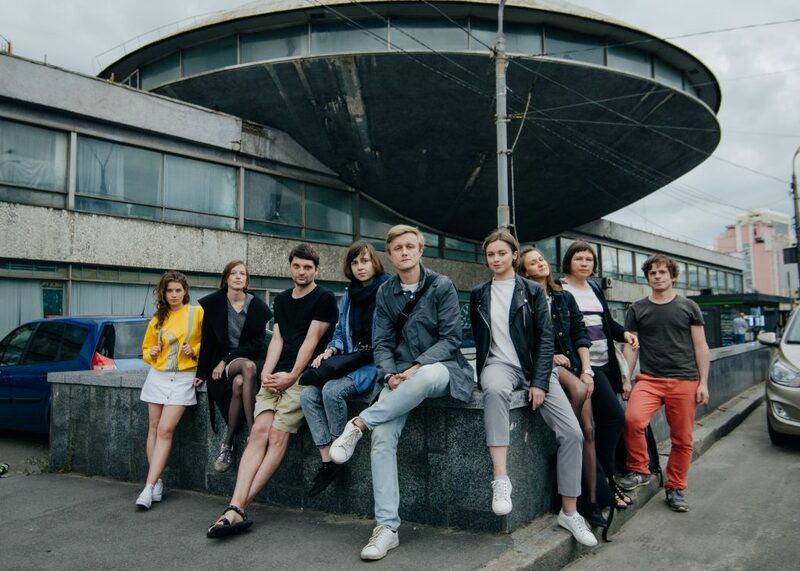 Sunday, May 20 at 14:00, a presentation on the collective art project by Tokonoma (Germany) and 33 Soshenko (Ukraine) artists’ collectives will take place at the artists’ Studios on 33 Soshenko Street. Tokonoma is a platform for new art and club culture situated in Kassel. Tokonoma organizes and hosts talks, screenings, exhibitions and club nights and works on the principle of self-organization. In spring 2012, the Tokonoma collective renovated a former retail store in Kassel into a multifunctional space, known as the Tokonoma Apartment. Soshenko 33 is an art studio of the National Academy of Fine Arts. While having permanent members, Soshenko 33 collective also acts as a situational artists’ group that includes members of other collectives. An important part of their practice is activism around the preservation and development of this particular space. Soshenko 33 collective participated in a residency within the framework of Documenta 14 at Tokonoma space in Kassel. 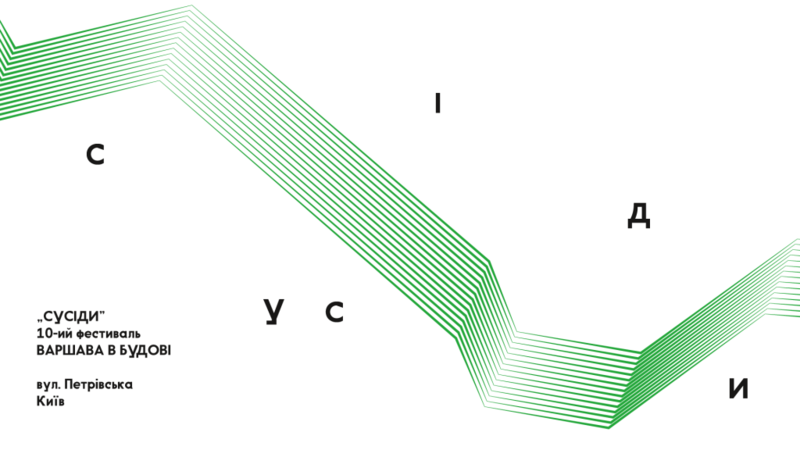 Amsterdam-based Experimental Jetset (Marieke Stolk, Erwin Brinkers and Danny van den Dungen), the graphic designers of The Kyiv International – Kyiv Biennial 2017 and The Kyiv International – ’68 NOW, will present their ongoing research on the notion of the city as a platform for (graphic) language. In their presentation “Superstructure,” taking place on Saturday, May 12 at 16:00 the collective will focus on four main themes in their research – Constructivism, the Situationist International, Provo, and Post-Punk. The event will be held in English. The legacy of May 1968 remains a symbol of liberation and rebellion against entrenched power structures, and a cultural and artistic benchmark for Western Europe. The commemoration of the 50th anniversary of the Prague Spring and Soviet military invasion of Czechoslovakia – most immediate in Eastern Europe – continue to define political and cultural divides across the continent. On Saturday, May 19 at 16:00 “Living Newspaper: The Legacy of the Prague Spring Today,” a symposium with the participation of Zbyněk Baladrán, Pavel Barša (Czech Republic), Laďa Gažiová (Slovak Republic), Agnes Heller (Hungary), Viola Ježková, Kapitál collective (Czech Republic), Alexej Klyuykov (Russia), will take place. The participants will discuss one of the most immediate questions of the era – could the socialist model be reformed or not? The event will be held in English. Sunday, May 20 at 19:00 screenings of the films Black and White (1968) by Krishna Vishwanath and Fugue on the Black Keys (1965) by Drahomíra Vihanová will be followed by the presentation “Filmmakers of the World, Unite!” by Tereza Stejskalová (transit.cz) on the amnesia in the cultural exchange related to the temporary stay of students from Non-Aligned countries in Czechoslovakia. At 14:00, at the artists’ studios at 33 Soshenko Street, Tokonoma (Germany) and 33 Soshenko (Ukraine) artists’ collectives will also talk about their collaboration, which began at documenta 14 in Kassel. The events will be held in English. Address: The House of Cinema, 6 Saksahanskoho St.